Remember why actor Alec Baldwin got kicked off an airplane in New York? He wouldn't stop playing a well-known word game and put away his mobile phone. We know that word games can be fun and addictive, especially when you're matching wits with a friend. That's why a new Danish import called SquareWords is making a bit of a splash in the states. 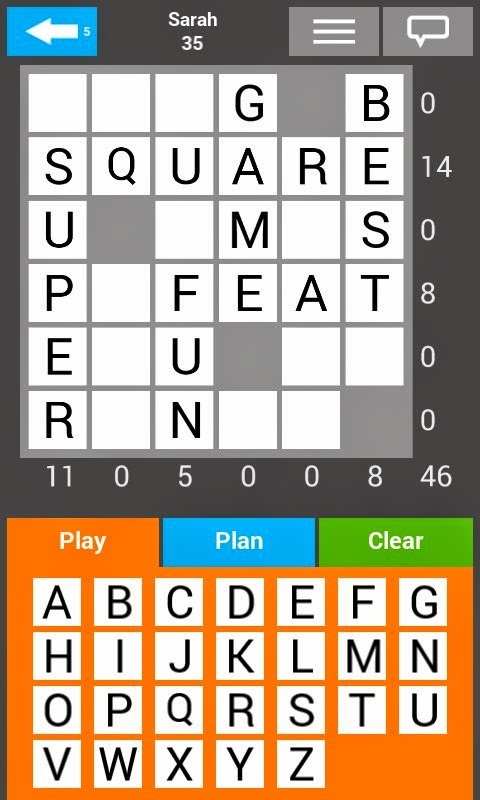 SquareWords plays like a crossword battle between two players. You can place letters in free spaces on the game board to stymie your opponent, but only valid words score points. The game ends and a winner is declared when the board is full. If you've had enough of Words With Friends - and really, who hasn't? - challenge a friend with SquareWords. Just don't do it when your plane is ready for takeoff. Click to the SquareWords website to download a free version of the game for the iPhone, Android or Windows Phone.